We believe that worship is the central experience for every member and friend of First Presbyterian. Our community of giving, connecting, learning, and serving begins in God’s sanctuary. 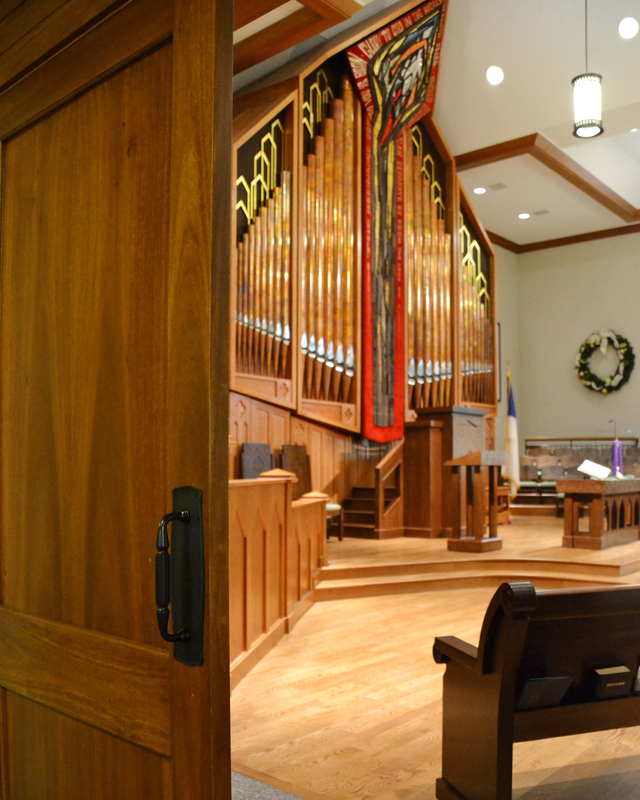 With worship the highest priority, worship at First Presbyterian represents a style that reflects the majesty and the splendor of our Creator, giving special emphasis to quality preaching and music, clear and concise liturgy, and moving and meaningful practice of the sacraments. Worship also leads us to renew and develop friendships with one another as we connect in conversation with each other before and after services. We worship on Sundays through prayer, scripture reading, preaching the Word, music, sharing in the life of the church and one another and celebrating Communion and Baptism together. Sunday worship is the highlight of our weekly church life, and it helps us to refocus our lives, deepen our faith, and seek out God’s call on our lives. Please visit our church’s youtube account to view our past sermons. Our Sunday bulletins are available here. We hope to see you in Worship this Sunday!